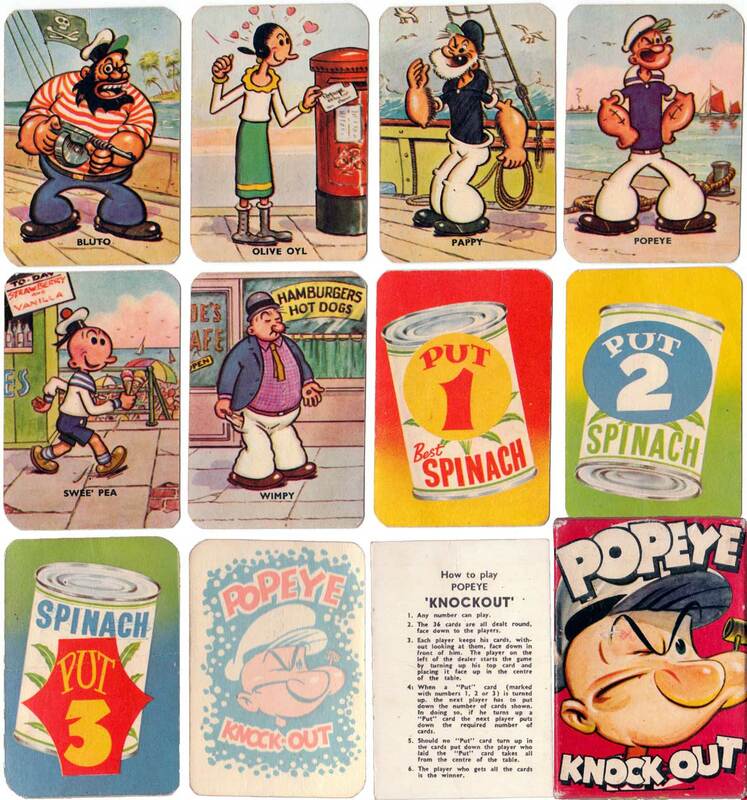 Popeye Knockout No.6586 by Tower Press, c.1961. The famous cartoon character Popeye was invented by an American comic strip artist called Elzie Segar in 1919. He was named Ham Gravy at first in the comic strip “Thimble Theatre”. His name was changed to Popeye in 1929. In 1932 Max Fleischer bought the film rights to Popeye and the real story began. His first film appearance was in a Betty Boop cartoon called “Popeye the Sailor” in 1933, and the world began to become familiar with the gruff talking, muscular character who got his energy from a can of spinach. Above: first edition of Popeye Knockout No.6586 by Tower Press, c.1961. 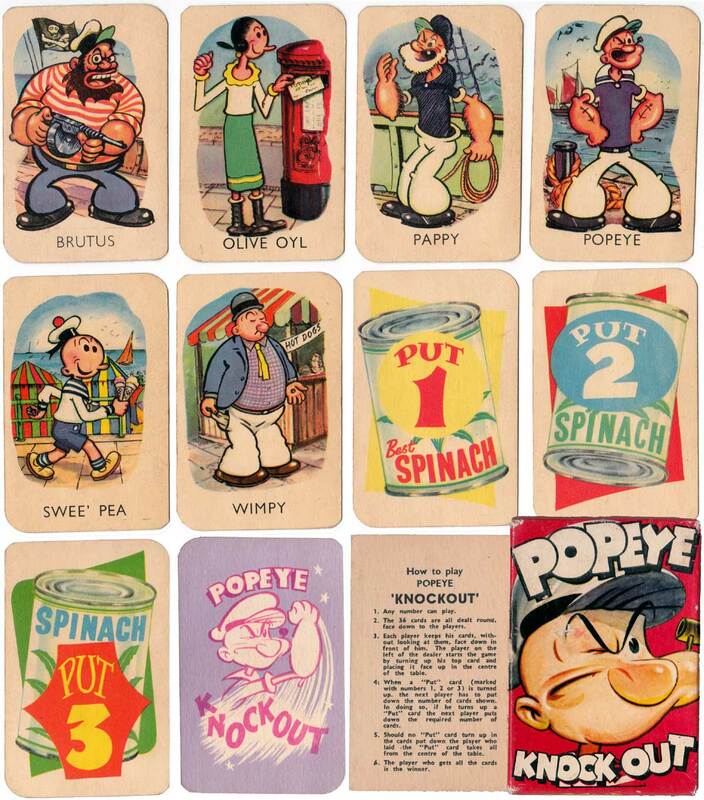 When the TV series (which was the inspiration for this card game) was made in 1961 the bad guy Bluto had his name changed to Brutus. This was the result of friendly negotiations between Max Fleischer and Disney Studios who thought that Bluto’s name was a bit too much like Pluto their famous dog character. This Tower game was first published with the Bluto character but a second edition was later published with the name corrected to Brutus. Above: second edition of Popeye Knockout No.6586 by Tower Press, c.1961. Images and notes courtesy Rex Pitts.